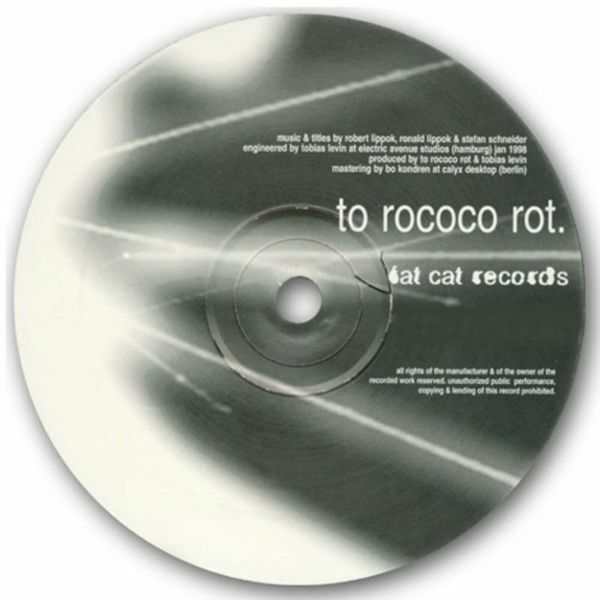 Formed in 1995, Rococo Rot is the project of Berlin-based brothers Robert and Ronald Lippok, also featuring Stefan Schneider from Dusseldorf - otherwise known for his part in German post-rock outfit Kreidler. Running as a complementary parallel, To Rococo Rot sees them working in a discrete, electronic vein. Their FatCat 12" (recorded in Hamburg in January '98) layered out a soothing, meditative space of sound-loops and hypnotic rhythms. Initially recording for Kitty-Yo, the band have released albums for City Slang, Sub Pop, and Soul Static Sound. They have remixed St Etienne, Leftfield, Appliance, Mira Calix and Wolfgang Voight. Stefan Schneider has released his own material under the name Mapstation, while Ronald Lippok continues to work on his Tarwater project, and has also released solo material on Raster Noton.